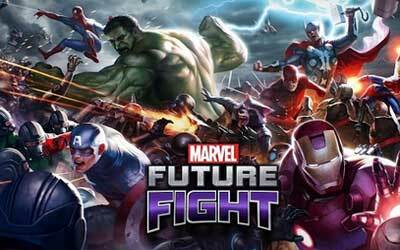 MARVEL Future Fight 1.5.1 APK is available so if you want to play you can download the latest version. This game which is developed by Netmarble is free for everyone. After soft-launch in Australia, Netmarble now finally officially released this game globally on iOS and Android. Players can control the superhero characters from Marvel team, through various levels, fighting with a bunch of criminals and issuing special abilities with a cooldown time limit. Players can also change the character of a superhero in the middle of a battle and uses the attack combination simultaneously. EPIC 3v3 BATTLES! – Test your mettle against other players in 3v3 battles! There are characters that are a major part of The Marvel Universe. Characters such as Dead Pool, Wolverine, Storm, Thanos and more should have been part of the update, rather than Agents of Shield.